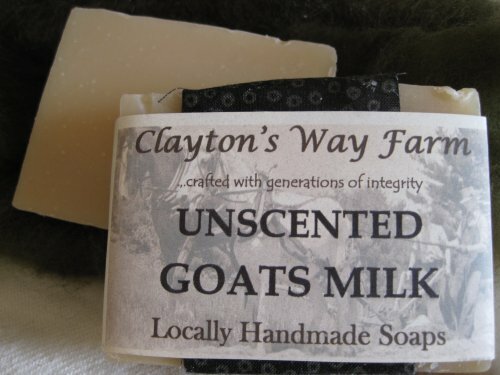 A gentle, unscented bar of moisturizing oils and goat milk - nothing more. Good for all wanting, or needing a simple soap. Perfect for those with sensitive skin. Gentle enough to use on babies, but as with ALL our soaps - KEEP OUT OF EYES, and discontinue use if rash or irritation occurs. Goat's milk is high in nutrients, fats, proteins & hormones, with a ph level similar to our own skin. Ingredients: Saponified coconut, palm, olive, soybean, castor and grapeseed oils. Goat milk and nothing more.